Paul Cotsonis’ primary areas of law are labor and employment law and general civil litigation. Prior to joining the firm, Mr. Cotsonis worked primarily as a labor and employment attorney, providing legal services to both private and public sector unions and their respective members throughout the state of Nevada. Mr. Cotsonis is admitted to practice in all Nevada State Courts, with pending admission with the U.S. District Court for the District of Nevada. Mr. Cotsonis also served as Treasurer and Vice President of the First Judicial District Bar Association. Mr. Cotsonis attended the McGeorge School of Law, in Sacramento, California, on an Academic Excellence Scholarship. 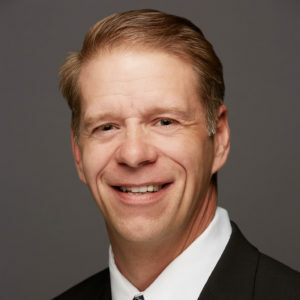 At McGeorge, Mr. Cotsonis earned various additional academic scholarships and received Dean’s List Honors, graduating with a Juris Doctor in 2002. Prior to law school, Mr. Cotsonis was a comprehensive social studies teacher for the Washoe County and Clark County School Districts in Nevada, with an emphasis on seventh grade World History and tenth grade American History. Mr. Cotsonis earned his Bachelor of Science degree in Comprehensive Social Studies, Secondary Education, from the University of Nevada Las Vegas as well as earning a Bachelor of Arts degree in Political Science receiving Big Sky Scholar Athlete Honors as well as Dean’s List Honors. In his spare time, Mr. Cotsonis enjoys spending time with his family and is an avid football fan.